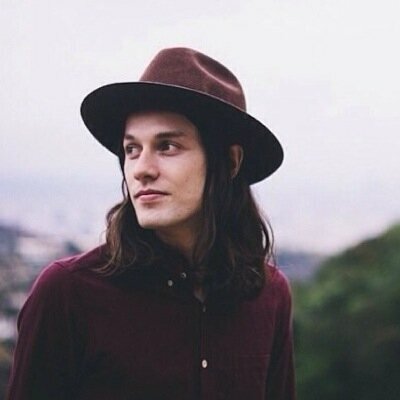 James Bay is the up and coming musician you absolutely should be listening to right now. Hailing from a small town in England, he’s got all the soul and songwriting skills of a veteran blues man from Memphis. His songs feature catchy melodies and those wonderfully personal lyrics that everyone can identify with. On top of all that, James Bay puts on a stellar live show. I just saw him at The Kessler in Dallas and was completely blown away. He puts such passion and emotion into each song, like he’s playing it for the first time instead of the hundred and first. James Bay (with percussionist pal Jerry) is definitely in my top 5 all time favorite concerts. This young artist currently has 2 EPs available (get ’em here, iTunes and Spotify): The Dark of the Morning and recently released Let it Go. They are both so beautiful; you just have to check them out! James Bay is currently on tour with Hozier, which is a perfect pairing I must say and if you can get tickets to that show you will be in for an unbelievable musical treat. James Bay goes well with The Lumineers, Hozier, James Taylor, and Ron Pope. Here are the 3 songs you need to listen to right now! “When We Were On Fire” – this will get your head bouncing. “Move Together” – sounds like falling in love. This post is a part of the Music Monday series here on the blog. Every Monday I’ll post a different artist that I think everyone should listen to. If you know or are an artist I should feature, please hit me up in the comments! Tags: americana, artists, folk rock, indie artists, james bay, music, Music Monday, musicians, new music, rock music, singer/songwriter, Writer, writing. Bookmark the permalink. What a great young talent! I”m glad you agree! He’s a really sweet guy too! Can’t wait til he can release a full length album, I just love his songs!